Most people don’t get up in the morning expecting to be arrested that day. But if you are arrested, it’s important that you don’t compound the problem and make an already stressful situation even worse. Regardless of whether there’s a legitimate reason for the arrest, it’s a mistake, or you’re just at the wrong place at the wrong time, it’s important to remain calm, listen to the officer, follow his/her instructions, and don’t make the following mistakes which may harm your case or even add or increase charges. Do not struggle, run, hide, yell, curse, or act in a combative way. Be polite and respectful to the officers. Don’t touch, push, or swat at the officer when he/she is handcuffing you, and follow his/her instructions at all times. Resisting arrest may be seen as a crime and bring additional charges, like assault of a police officer or resisting arrest. And, in a heated, contentious situation, could put your life in danger. We’ve all heard the Miranda warning which begins with: you have the right to remain silent. As we’ve discussed in previous blogs, this is a constitutional right and you should always use it. The only thing you must tell law enforcement is your basic biographical information, name, address, birth date, social security number, etc. Saying anything else is almost never in your best interest. You don’t need to answer questions about where you’ve been, where you’re going, or what you’ve been doing. Don’t try and talk your way out of an arrest by telling “your side of the story” or admitting to any wrongdoing, no matter how trivial you believe it is. Don’t try to convince officers of your innocence. It won’t help you and you may end up incriminating yourself. Remember, anything you say may be used against you in court. The police officer’s job is only to arrest you. They don’t make decisions about guilt, innocence, or charges filed. Speaking with an officer and answering questions will usually only make your situation worse. And last but not least, never make any agreements with the officers. They don’t have the authority to make deals, only the prosecutors do in negotiations with your criminal defense lawyer. The fourth amendment of the Constitution protects citizens from unlawful searches and seizures. This means that the police can’t search your home, car, personal property, or even you without a warrant signed by a judge or probable cause, or unless they meet recognized exceptions to the warrant requirement. If you are arrested, do not consent to the police to search anywhere other than to pat you down for weapons incident to arrest and take your personal property to inventory for return upon your release. Just because you are being arrested does not mean that you have to consent to the search of your vehicle, for example. If you are inside your home and the police knock and ask to come in, state clearly “No, you may not enter my home” or “I want to see a search warrant before you may enter my home.” Never step outside of the house. If law enforcement has a warrant to search your property, they will be watching you for clues as to where to search. Don’t react to the search. It is best to look at the floor. Don’t answer any questions they ask, for instance…”Does this belong to you?” And remember, if you give your consent to a search, anything the police officers find may be used as evidence against you… even something you didn’t know was there…something like marijuana left by friend. Social media is forever… even if you delete posts and images, you can’t take it back once it’s out there. Digital forensic experts can retrieve just about anything ever posted from any and all your devices along with date and time stamps. Law enforcement and prosecutors are turning to social media accounts to find additional evidence and strengthen their cases. So, a Youtube video of you drinking at a party, falling off a chair, slurring your words, and yelling “This is my 8th beer,” taken on the night you’re arrested for DUI, is powerful confirmation that you were drunk. In addition, don’t text or Facebook message friends, or especially anyone else once you have been charged with a crime, including other defendants, victims, or witnesses. You don’t want your own words to prove the prosecution’s case or do anything that could constitute obstruction of justice. 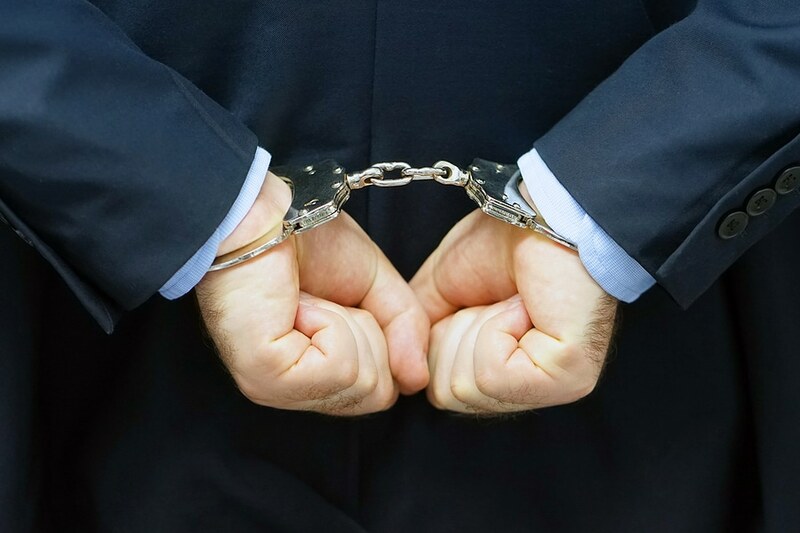 Once you are charged, you should only speak to your criminal defense lawyer about the facts. The most important thing you can do to protect your rights and secure the most favorable outcome to your case is to hire a DC criminal defense attorney immediately. The time to ask for a lawyer is the moment you are arrested. Even though the police may try to spin it this way, hiring a lawyer does not show consciousness of guilt and cannot be held against you. Your lawyer understands the law and criminal procedures and will know how to uncover flaws in the prosecution’s case, as well as build a strong defense. Every minute you wait to contact a lawyer is an opportunity for you to make a mistake that may jeopardize your case and ultimately your freedom. If you’re looking for an experienced criminal defense law firm that will fight for your rights throughout the criminal process, contact Jay P. Mykytiuk, Trial Attorney. Mr. Mykytiuk has successfully represented individuals throughout Washington D.C. and Northern Virginia who have been arrested and charged. Contact us today at 202.505.5863 to discuss your case.